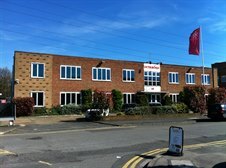 Cattaneo Commercial have concluded the sale of a 21,132 sq ft industrial building at 10 Lyon Road, Wimbledon SW19 2RL. The property was offered in good order and benefited from 30% office content. If you have a similar property in Wimbledon please contact Cattaneo Commercial who have a number of buyers on their books for similar buildings.